Norma Plummer’s admirable charges closing the gap on the superpowers in the Quad Series. Admitting they were made to work hard for a narrow 62-60 win on Sunday night, New Zealand coach Noeline Taurua said the Proteas had improved in leaps and bounds after their Quad Series clash in London went to extra time. 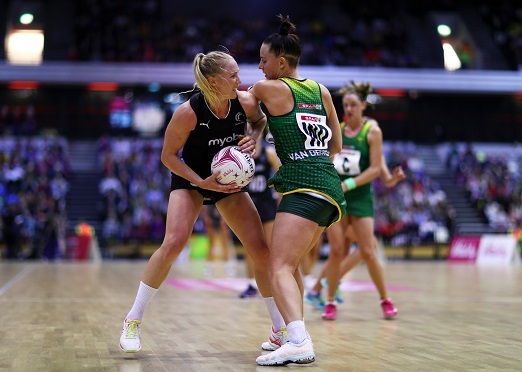 While their opponents took the early advantage, the South Africans were able to stay within touch, as they went in search of their first win over New Zealand since they triumphed over the Silver Ferns in the group stages of the 1995 World Cup in Birmingham. Spearhead by goal shooter Lenize Potgieter, who enjoyed a near flawless game by making 96% of her 47 shots, the Proteas were also able to contain the New Zealanders at the back, and the scores were level at 45-45 at the end of regulation time. With neither side able to break the deadlock after 14 minutes of extra time, New Zealand clinched a two-point victory in sudden death additional time. “There was pressure on both teams, and I’m proud of us, but I’m also amazed by South Africa,” Taurua said. Though the Proteas had also lost to Australia, they enjoyed a rare win over England in a relatively successful Quad Series campaign, which came to a close with their narrow defeat to New Zealand.